The Mehrangarh fort is positioned on a high hill of about 125 kms that offers a spectacular view of the entire city. The fort is noted for its excellence in design, decoration and construction. The fort is a reminiscent of the splendor and valor of the Rathore dynasty. The fort also includes many attractive palaces such as the Moti Mahal, the Sheesh Mahal, the Phool Mahal and the Daulat Khana. 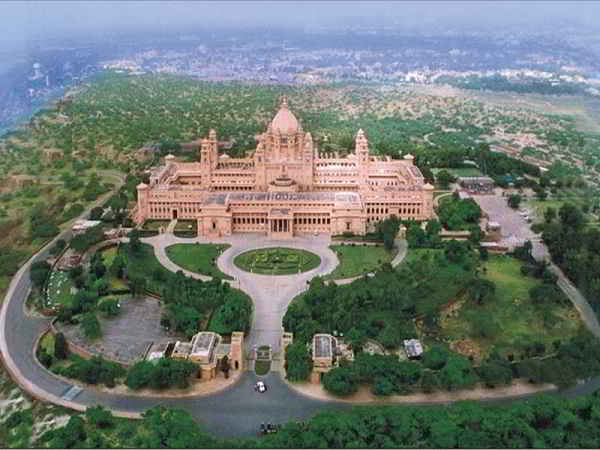 Another popular tourist destination in the city of Jodhpur includes the Umaid Bhavan palace. The palace was constructed by Maharaj Umaid Singh in the year 1928. The palace has hundred rooms which are splendid and exude luxurious extravagance. The city of Jodhpur is divided into two parts which include the old and the new city. The old city is surrounded and protected by a long and high wall. The new city includes huge restaurants and market places. The city has some of the most spectacular lakes such as the Balsamand Lake and the Kailana Lake. The Sardar Bazaar and the Mandore Gardens are other popular tourist destinations in the city of Jodhpur. The city is also known as the Gateway to Thar as it is located on the border of the Thar Desert. Jodhpur is even known as the City of Blue Houses as it is filled with a large number of blue houses owned by Jodhpur Brahmins. The weather is quite pleasing during the months of October and March and it is considered the best time to visit Jodhpur. During these months, the sun is less hot and there are no sand storms in the desert. The Marwar festival held in the months of October and November is quite commendable. The camel rides in the desert are quite enchanting with picturesque view of the setting sun across the vast desert. The City Gateways Mandore is another attractive destination in the city of Jodhpur. It has beautiful and alluring green luscious gardens. The Hall of Heroes is one of the main attractions of this place where there is a huge single rock. The rock includes the carvings of sixteen popular Hindu folk deities. The city of Jodhpur is well connected to all the popular places in India. It is situated 517 kms from Delhi, the national capital. Jodhpur is also connected to the National Highway which makes it a popular tourist destination.